Technical analysis refers to the method of analyzing a security based on its historical data on price movement and market trends. It follows the Dow theory, which states that the price of the stock already reflects everything that has and can affect the company. It is often said that investing is a complicated process and requires you to make decisions that could seemingly result in losses. At the same time, you are also provided with an opportunity to make huge profits if you make the right investment decision. Hence, the most important question here is: How do you pick the perfect stock and make the ultimate investment decision? 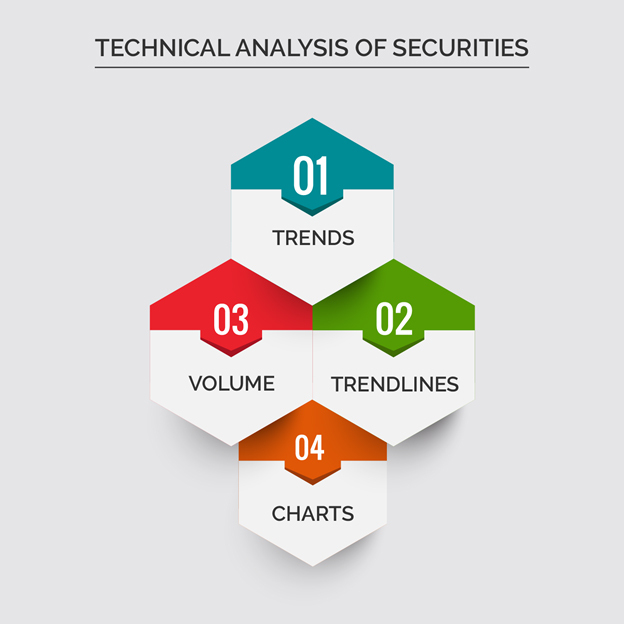 Technical analysis refers to the method of analyzing a security based on its historical data on price movement and market trends. 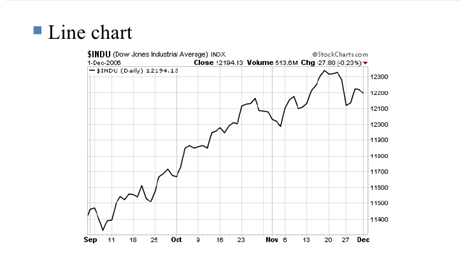 It follows the Dow theory, which states that the price of the stock already reflects everything that has and can affect the company. Technical analysts believe that the future direction of the market can be predicted based on the historical performance of the company and that fundamental and financial attributes are useless, i.e. they are already discounted in the price itself. Uptrend: When the demand is high, and supply is low, increasing the share price. Downtrend: When the demand is low, and supply is high, decreasing the share price. 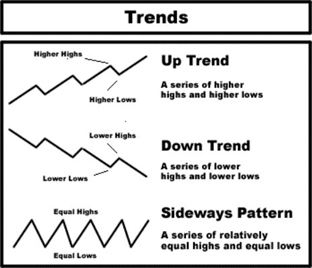 Sideways trend: A horizontal line arising from the demand and supply levels being equal. When trends are reflected in the form of charts, trend lines are added to a graph to make it more informative. Look at the following diagram that contains a trend line. Volume is the number of shares of a company that are traded over a particular period. 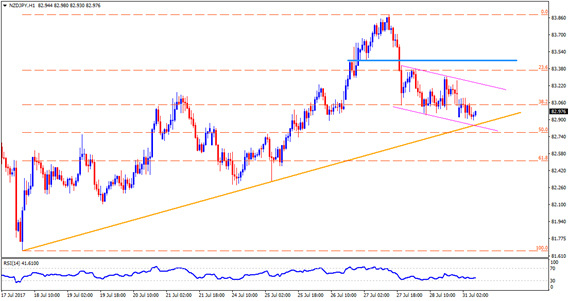 It is one of the most important factors that technical analysts take into consideration. Technical analysts study historical data of the company's volume and predict the direction the market could take. They believe that higher the volume of a company, higher is investor activity. This suggests that its share prices will increase in the future. Line chart: A graph which shows the information by way of a line. Bar chart: Graphical representation of stock prices by way of bars. Candlestick chart: In this graph, the prices are shown by way of candlestick-like structures. 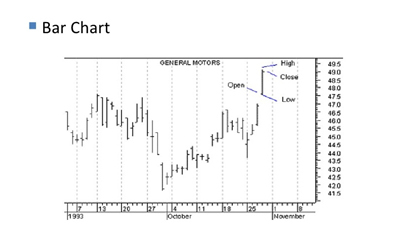 Point and figure chart: Graphical representation of prices using ‘X' and ‘O's. Knowing the basics of technical analyses of securities can help you understand it (the security) better and make appropriate investment decisions. If you wish to know more about various investment processes, do check our website at 5paisa.com.